In her second novel set in 16th-century Tudor England, Fremantle (Queen’s Gambit, 2013) imagines the lives of three historically obscure women: Katherine and Mary Grey, who have claims to the throne, and Levina Teerlinc, the court painter who looks out for them. 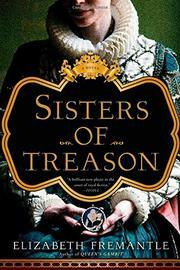 Living a tenuous life at court following their elder sister Jane’s brief reign as queen and her subsequent imprisonment and execution, Katherine and Mary know that one misstep could lead them to a similar fate. After all, Tudor blood courses through their veins, and Queen Mary uses public executions to ensure her rule and her goals, including the reinstatement of Catholicism. The current sovereign suffers through several false pregnancies, but she fails to ensure a line of succession by producing a male heir—a matter that concerns the girls’ mother, Frances, as well as her friend Levina. Katherine is beautiful, flirtatious and compulsive. Mary is less worrisome. Uncomfortable with her tiny stature and physical imperfections, most people ignore her, but Queen Mary sometimes treats her as she would a pet or a doll. When Elizabeth I ascends to the throne, Frances is relieved. She hopes the new queen will be more tolerant toward her family and retreats to her country estate. Levina does her best to fulfill her promise to look after Katherine and Mary at court, as first one sister and then the other follows her heart without Elizabeth’s approval and pays the price. Told in alternating sections, the siblings describe their lives and the religious upheaval, political intrigue (including an attempt to wed Katherine to the Spanish court following Queen Mary’s death) and societal attitudes that influence their actions; but it’s Levina’s presence that binds the narrative. For those unfamiliar with this era in British history, the final pages include a brief explanation of the Tudor succession, a cast of characters and suggestions for further reading. Fremantle presents an inventive, finely detailed, if lengthy, story.